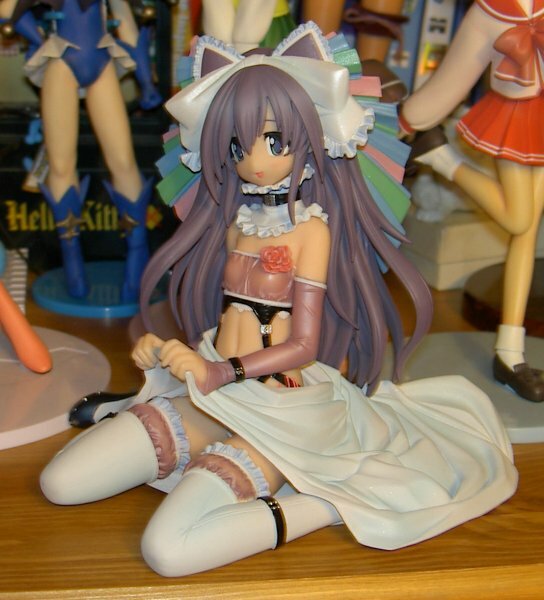 The second of the 3 pvc figures I bought last tuesday. One I was very glad to finally be able to own. I would have been happy with either version, white or black. This is Bianca. The white variant of the two Himekuri girls. I missed my chance of getting her at expo, a rule I made after that occasion, you see a figure for £10 or less, you buy it. You just go for it and buy it!!! Bianca is 1/7th scale, dressed in a revealing, yet adourable outfit, sitting on the floor, lifting the front of her skirt. I’m not big on the skirt-lifting thing, but for the price and quality of this figure, I’m gladly willing to overlook it. 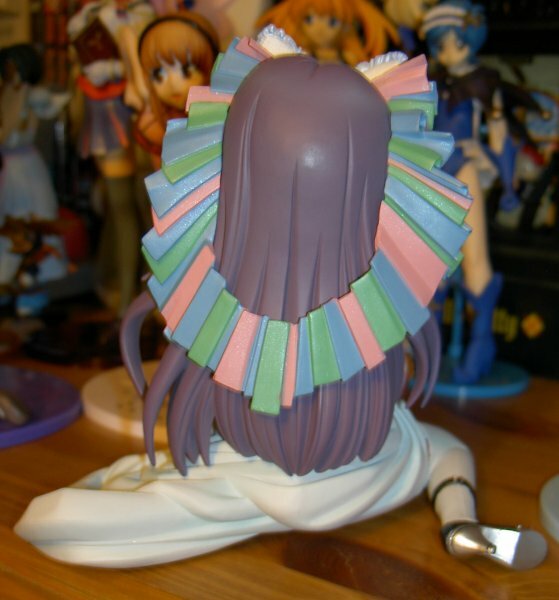 The level of detail on this figure is quite astonishing, considering the price, and it was lower than most figures even before the later discounts, at 3800 yen a pop. (£20 or $36, thats uber-cheap compared to most I’ve bought.) The white Bianca version was released April 06, after the original black version released December 05, and finally a christmas colour edition was released December 06. I never could decide which out of the white or black I liked better… they both have pros and cons lol. 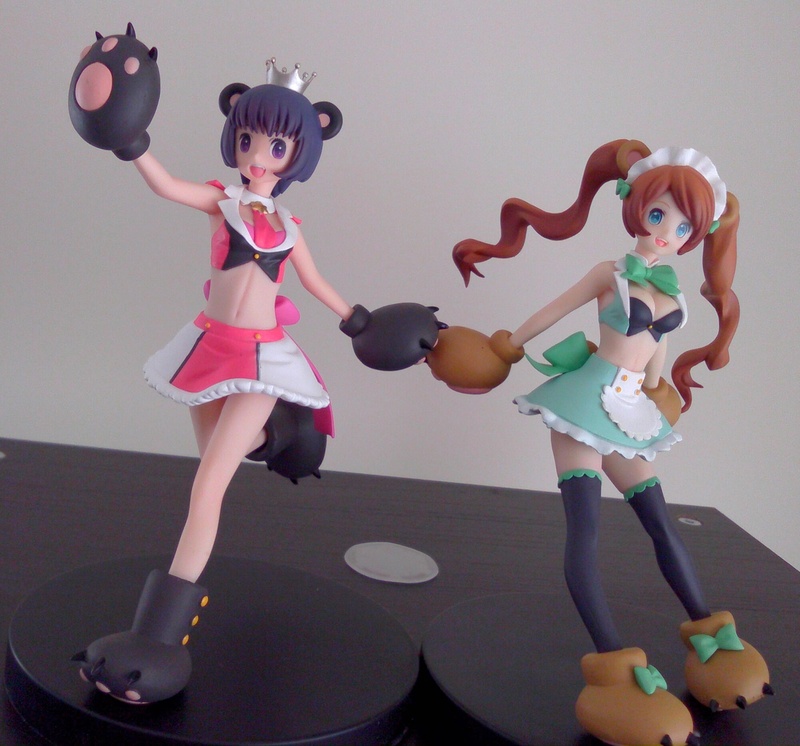 But I’m sure both have the fantastic sculpt and very accomplished paintwork. I have to say it is one of the highest quality paint jobs in my collection, the detail on the clothing is so awesome!! The only bit which lets it down is the hair decoration, the big colourful thing hanging round her hair, that could have been slightly better, if it were, then it probably would be as near perfect as a paintjob could come. The sculpt, also awesome, they even sculpted the eyes a little too!! I love that! Not quite sure why, but it works well. The eyes are so cute!! There are some mould-lines on her right leg, but nothing really noticable. She’s just so pretty!! And the hair!! Very nice job joining it so it can’t be noticed unless you really look closely. Her hairs so thick and lovely too!! Very big at the back of her head, back-combed maybe? Serio will be my last figure review, posting tomorrow. And I may do a quick thing on my Busou Shinki, although I’m getting more figures tomorrow… and packing for uni…. and on sunday… I might not be able to post anything… or get online…. depends what connection I have in my room… because my stupid modern laptop is too modern to have an ethernet slot…. it only works wirelessly!!! Who’s stupid idea was that???!!! Anyways…. laptop rant over… getting a shiney new computer next week. 4gb’s of ram, 6mb cache amoung other things. Ciao for now! !